The Mineral Wells Pre-Parole Transfer Facility, a Corrections Corporation of America-run jail that will be closed by the end of next month, is the site of a new contraband scandal. The Weatherford Democrat reports eighteen indictments for bringing in or possessing contraband items like cell phones and tobacco were handed down on July 25th by a Parker County grand jury. It's not the first time these kinds of charges have come from Mineral Wells, but it may well be the last. Along with the Dawson State Jail, the Mineral Wells facility was targeted for closure during the most recent Texas legislative session. Dawson and Mineral Wells are two of five contracts that CCA lost nationally in June. 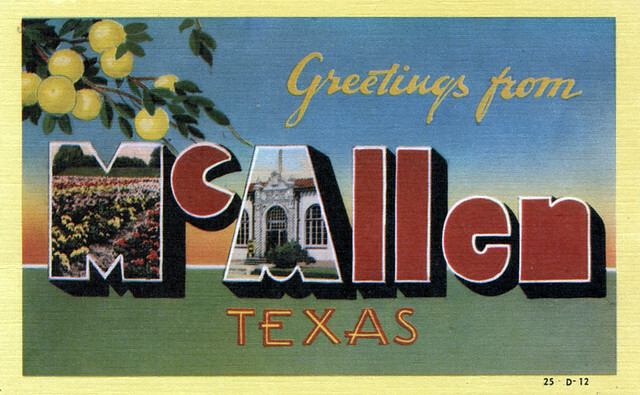 What should Ellis County know about Community Education Centers? Yesterday, Piper reported that Ellis County was considering turning over its county jail operations to a for-profit corporation. The County's jail management evaluation and feasibility committee has received bids from two-companies - Community Education Centers and LaSalle Southest Corrections. CEC's bid was rated 65 points out of 100 while LaSalle's received only 53 points out of 100. We aren't sure what the evaluation criteria was, but 65 out of 100, a D grade for most schools, doesn't seem too impressive. We thought that Ellis County should know a little more about its top bidder, New Jersey-based Community Education Centers. CEC was the subject of a New York Times front page series last year exposing the company's operation of halfway houses in its home state. The problems the Times uncovered including escapes, widespread violence, and rampant drug use. The company's executives used connections with New Jersey Governor Chris Christie to win halfway house contracts, the Times wrote, despite the fact that the company was in such bad financial shape in 2010 that it defaulted on its debt and contemplated bankruptcy. - CEC was dumped by McLennan County earlier this year after failing to win a federal contract to fill its detention center. CEC also walked away from its contract with Bowie County in November 2012 leaving the county "high and dry" according to the Bowie County Citizen. - CEC's Polk County Detention Center has been the subject of protests (including by my organization, Grassroots Leadership) after being named amongst 10 of the worst immigrant detention centers in the country in a national report by the Detention Watch Network. - In May of this year, a 22 year-old CEC guard was arrested and accused of smuggling drugs into the company's Liberty County Jail. The same facility was under investigation in September 2012 by the Texas Rangers for alleged sexual misconduct involving a male guard and an incarcerated woman. And, in June of this year, eight former CEC guards at the company's Ector County Detention Center were sentenced to federal prison after being accused of delivering contraband to incarcerated people in exchange for cash. - The Liberty County lock-up was also one of our Big Stories of 2012 after a plan to reduce jail costs by diverting some prisoners away from jail was thwarted because of the county's contract with CEC. 75th District Court Judge Mark Morefield, who supports the inmate reduction plan, stated at the time: “One (private prison) bid said that if the inmate population goes below 200, the cost per inmate goes from $63 to $68 per day. If we work really hard to decrease the inmate population, the cost will go up to $70 per day, … [t]hey are taking all the incentive out of it." Ellis County should do some hard thinking to do before moving ahead with it's "top bidder" in Community Education Centers. We'll keep you posted on developments from Ellis County. Read more about What should Ellis County know about Community Education Centers? We first heard wind that Ellis County was considering privatizing its county jail earlier this year, when the Waxahatchie Daily Light reported that county officials had been holding "exploratory meetings" with Community Education Centers and LaSalle Corrections. The county issued a Request for Proposals and accepted bids until July 1st. On Monday, Ellis County Commissioners heard from the "jail management evaluation and feasibility committee," the group tasked with appraising bids from the RFP. Of the two proposals submitted -- from CEC and LaSalle Corrections -- CEC's held up better, scoring 65 points out of 100 to LaSalle's 53. However, County Auditor Mike Navarro pointed out that the committee's function was to choose the better of the proposals, not to recommend privatization. The Waxahatchie Daily Light notes that many community members who attended the meeting expressed opposition to privatizing the county jail, including detention officers citing good work relationships and bad reports from other privatized facilities. Ultimately, the meeting was inconclusive: the commissioners court decided not to move without first hearing from the sheriff, who was unable to attend. If Sheriff Brown is concerned for the employees and incarcerated people he's responsible for, he'll think twice before getting behind privatization. For-profit prison companies like CEC cut costs by cutting corners on things like salaries and medical care, leading to unsafe conditions. At least one county commissioner would be on his side: Paul D. Perry of Precinct 6 posted one of our presvious articles on his Facebook page saying "I don't like giving for profit entities the power of government, especially when they can interfere with civil rights." The Limestone County Detention Center has had a rocky year. In March, the Bureau of Prisons ended its contract with Community Education Centers to incarcerate immigrants in the 1,035-bed facility, leaving it empty. In response, CEC left operations in Limestone County altogether. County commissioners elected to replace CEC with Management and Training Corporation in May in return for "short-term guarantees" -- MTC will pay the county $62,500 a month to rent the buliding while it looks for contracts to fill it. KWTX reported in June that MTC was "closing the center and pulling out" once all of the people incarcerated by ICE had been removed on July 15 and sent employees home with their final paychecks. However, an email from MTC's communications director indicated that the contract is still in place and that the company is looking for new contracts to fill the beds. It may not be good news for Limestone County that neighboring McLennan County just announced it was receiving a contract to detain 200 immigrants from Immigration and Customs Enforcement. With the story changing so rapidly, we'll keep you posted on developments. The Jack Harwell Detention Center, built in 2010 on $49 million in revenue bonds, is once again housing immigrants detained by Immigration and Customs Enforcement. McLennan County Chief Sheriff’s Deputy Matt Cawthon told the Waco Tribune that the facility would begin leasing two hundred beds to ICE for people awaiting immigration hearings. LaSalle Corrections took control of the facility just last month when the county decided to change operators from Community Education Centers, which had run the detention center since its construction. 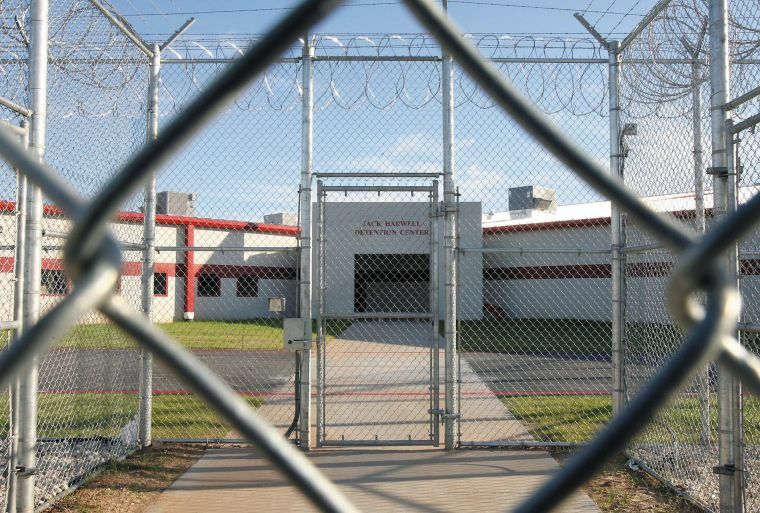 The county had always had trouble filling the beds, but after an audit by the Texas Commission on Jail Standards and an ICE investigation uncovered poor conditions, McLennan County lost its contract with ICE in December 2011. Like many contracts with for-profit prison companies, McLennan's contains a bed guarantee -- a stipulation that McLennan will continue to pay LaSalle if the population drops below a set level. The only commissioner who voted against the proposal said that he could "not in good conscience" put his support behind a contract that put McLennan County on the hook for unfilled beds. If prison population declines or if the facility once again fails to live up to ICE's standards (which are notoriously low), the county could find itself in even more fiscal trouble. While McLennan County was lucky to be rid of CEC, it might have jumped out of the frying pan and into the fire with this new deal with LaSalle. As it turns out, the McAllen Monitor learned a year ago that city officials had been talking to GEO Group behind closed doors, but agreed not to report it to avoid "tipping off potential competitors and skunking the deal." Other Texas towns and counties that have teamed up with for-profit prison companies have landed themselves in deep financial distress. Montgomery County recented sold the Joe Corley Detention Center to GEO Group to cover $38 million in debt. The Bill Clayton Detention Center has been a headache for Littlefield since disturbing conditions led Idaho to terminate its contract, leaving the town to foot the bill for an empty facility. GEO Group's track record is just as bad, both in Texas and across the country. In Mississippi, assault rates at private prisons are three times higher than in publically-run prisons; reports and lawsuits out of Walnut Grove Youth Correctional Facility, then operated by GEO Group, alleged rampant gang violence, smuggling, sexual assault, and dangerously low staffing levels. With a pricetag of $50 million and untold human rights abuses, McAllen still has time to see what a new prison would really cost.